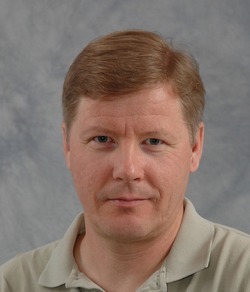 Risto Miikkulainen is a Professor of Computer Science at the University of Texas at Austin and CTO of Sentient Technologies. He received an M.S. in Engineering from the Helsinki University of Technology (now Aalto University) in 1986, and a Ph.D. in Computer Science from UCLA in 1990. His current research focuses on methods and applications of neuroevolution, as well as neural network models of natural language processing and vision; he is an author of over 380 articles in these research areas. Outstanding Paper of the Decade Award, International Society for Artificial Life, 2017. IEEE Computational Intelligence Society Distinguished Lecturer, 2015-2017. My research focuses on biologically-inspired computation such as neural networks and evolutionary computation. On one hand, the goal is to understand biological information processing, and on the other, to develop intelligent artificial systems that learn and adapt by observing and interacting with the environment. The three main focus areas are: (1) Neuroevolution, i.e. evolving complex deep learning architectures and recurrent neural networks for sequential decision tasks such as those in robotics, games, and artificial life; (2) Cognitive Science, i.e. models of natural language processing, memory, and learning that, in particular, shed light on disorders such as schizophrenia and aphasia; and (3) Computational Neuroscience, i.e. development, structure, and function of the visual cortex, episodic memory, and language processing. See the UTCS Neural Networks Research Group website for research projects, publications, demos, and software. A few highlights: TexasExes interview/skit on artificial evolution; O'Reilly Radar Podcast on evolutionary computation; Digital Nibbles interview on BotPrize (i.e. Turing test for game bots); a 2-min soundbite on neuroevolution; the NERO machine learning game; an interactive demo of schizophrenic language model; the Computational Maps in the Visual Cortex book.